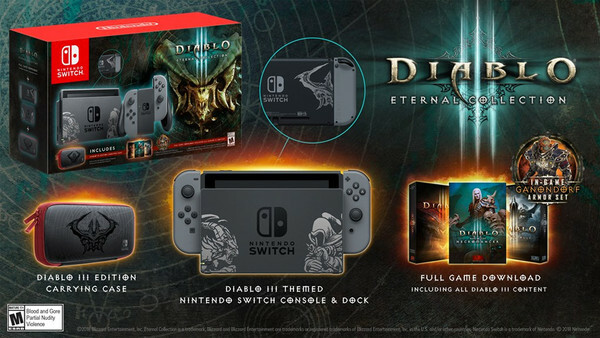 To celebrate the release of Diablo III: Eternal Collection on the Nintendo Switch, we've teamed up with Blizzard to give one lucky WhatCulture reader in the UK the incredible opportunity to win a limited edition Diablo III branded Nintendo Switch console with a copy of the game. 5 runners-up will also win a Diablo III edition carrying case. The definitive version of Blizzard Entertainment’s acclaimed Diablo® III is coming to the Nintendo Switch! The Diablo III Eternal Collection™ includes the original Diablo III, the critically-acclaimed Reaper of Souls® expansion, the Rise of the Necromancer® pack, all content updates and console-specific features, an assortment of bonus items exclusive to Nintendo Switch, and a lifetime’s worth of adventure. 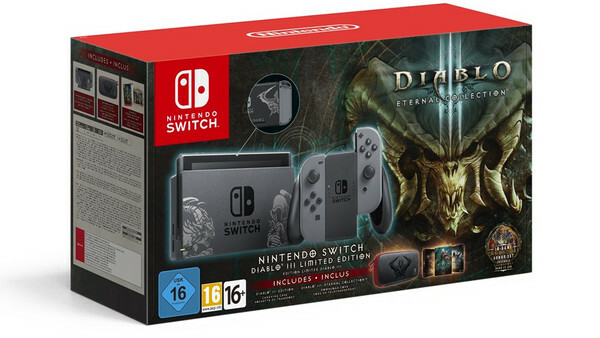 Diablo III on the Nintendo Switch takes full advantage of the console’s flexibility and versatility with multiple intuitive and ultra-responsive controller configuration options. Whether you prefer dual-wielding Joy-Cons, sitting elbow-to-elbow on the couch with your friends using a single Joy-Con each, or entering the fray armed with a Pro Controller, you’ll be able to slay your way. Up to four players can embark on grand cooperative crusades to cleanse Sanctuary—side by side in front of a single Nintendo Switch screen or linking multiple consoles together wirelessly. To be in with a chance of winning, simply submit your name and address details to contest@whatculture.com, remembering to quote 'Diablo III' in the subject line.